It tastes especially great when drunk out of a pint glass from one of the best open source conferences around. Is it a shandy? It it beer soda? Is it (says my husband scornfully) alcoholic Ting? Who cares? It’s delicious! 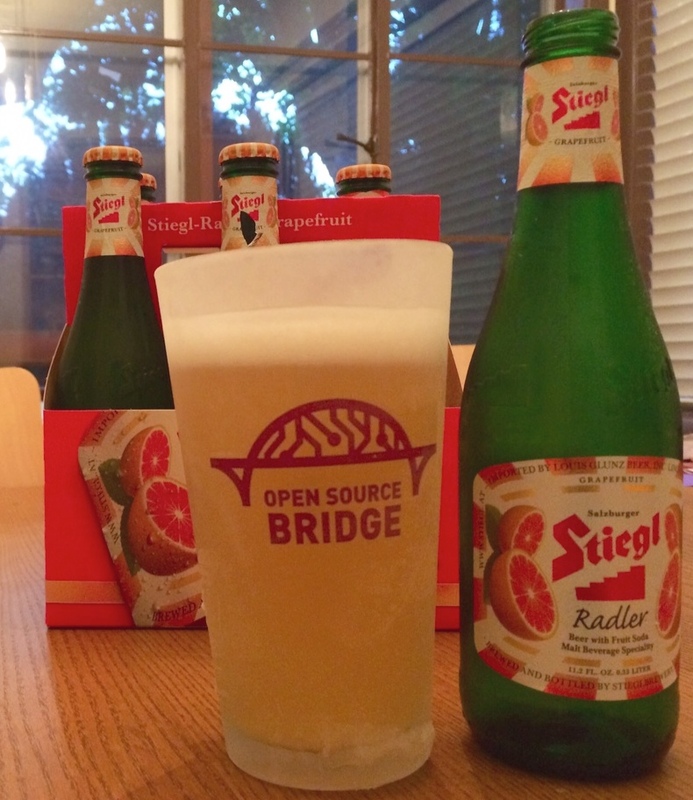 Stiegl Radler Grapefruit combines Austrian lager with grapefruit juice/soda. Radler means ‘cyclist’ in German and was originally brewed for thirsty cyclists in Austria who wanted a tasty low alcohol beer they could take along on bike rides. This is only 2.5% alcohol, slightly sweet, and perfect for afternoon thirst-quenching. I love low-alcohol beers and wines in the summer. Yes, I drink beer sometimes. Not very often. OK, pretty rarely, but I like a good beer, especially after mowing the lawn or at a cookout. I definitely prefer a decent beer to mediocre wine. And if there’s only mediocre wine AND mediocre beer, then it’s cocktail time.